On a regular basis Nintendo needs to take some online services down to give the servers a bit of a spit and polish, depriving us of valuable Splatoon time, or general online time, for that matter. There's a bit of maintenance on the way to be aware of, so let's break it down. First of all, Xenoblade Chronicles X has a brief offline spell coming up very soon, details below. Wednesday January 20th at 5:50pm Pacific / 8:50pm Eastern / 1:50am (January 22nd) UK / 2:50am CET until Wednesday January 20th at 7:30pm Pacific / 10:30pm Eastern / 3:30am UK / 4:30am CET. The main disruption will be to the overall Nintendo Network service on 25th January, affecting services on Wii U, 3DS and online. Monday January 25th at 12:00pm Pacific / 3pm Eastern / 8pm UK / 9pm CET until Monday January 25th at 4:00pm Pacific / 7pm Eastern / 00:00am UK / 1am (January 26th) CET. These aren't periods of downtime to get too upset about, but are worth bearing in mind for potential disruption to upcoming afternoon / evening gaming, depending on regions. Did we ever get the XCX DLC? Maybe they're adding it. 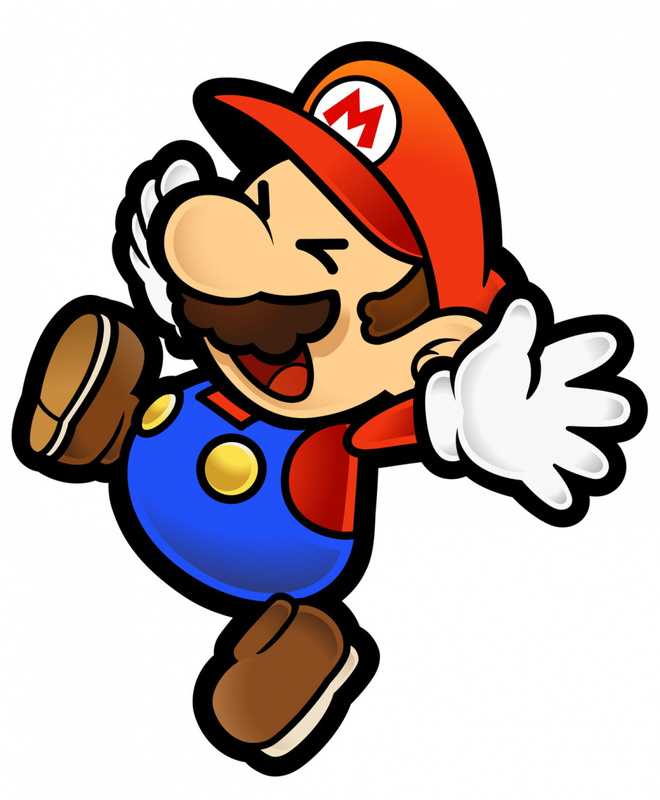 No Hammer Mario pic today, Tom? Colour me surprised. @DarthNocturnal they are already in. The only one I found is H.B. But they are definitely in it. @DarthNocturnal There are a bunch of characters for your party that were DLC in the Japanese version that were included for free in Western version. So, in a round-about way, we've already gotten DLC for XCX. I am nothing without the hammer header image. Really? Wow. I suppose they didn't expect it to sell much anyway, so they sweetened the main game. I havn't started XCX yet. I know it's not connected by plot, but I want to complete XC 3D first. Aside from the lack of direction on some sidequests, I'm really enjoying it. 4 hours Monday afternoon / evening and no hypothesizing about a Nintendo Direct on Monday? You NL guys are slipping. i'm i the only one curious to know on why there doing this daily? i mean i'm sure it is for My Nintendo, but still. I wonder if the same thing is happening again, because now the Mediators are way out in front with some absurd numbers just as the Prospectors were before. I still get disconnected every single time I play but I don't know if that's something that can be cured. 118 hours in and no plans to stop playing. There are still some obvious goals I have yet to accomplish and I don't want to read any walkthroughs. I never understood the mentality of people who fiddle with online leaderboards; especially when you can tell they've been manipulated. I'm a Pathfinder so I know I'm always in the bottom XD. I think in the Xenoblade Chronicles X part it should say January 21 instead of 22. @rjejr Well there was a NoA RPG presentation yesterday (with details tweeted out) and given the vast majority of Nintendo's first half of 2016 lineup are RPGs, it makes you wonder if infact the first Direct will be in March showing off My Nintendo, Nintendo Account, Miitomo and potentially NX. @ToniK I think it's your connection. I've had very few disconnect problems after over 280 hours of gameplay and most of those were my internet connection giving out. Online missions gets really laggy sometimes, but not online nemesis battles for some reasons. @DarthNocturnal For anyone wondering, the DLC characters are Alexa, H.B., Yelv and Bozé. Their affinity missions don't count for hundred percent completion but do unlock exclusive Skell frames and such, and their hangout areas do count for completion since they occupy a sector each. I'm an interceptor so its been so-so lately. Knowing someone has been doing that stuff explains the Prospectors weird numbers, though. It is a shame, the división rewards are really helpful. Well, if they get XCX's servers to stop kicking me off in the middle of my game, I'm fine with this. There's a new update! I wonder what it did ? They NEED to fix Xenoblade X's Servers! I get kicked off constantly! between 30 seconds and 5 minutes! Never does it stay on/connected for long! @Gold_Ranger in my 100 hours of gameplay, can't say i've d/c'd at all. Might want to double check all your settings or network. @ all the people with connection problems > try a wired connection, there seem to be a problem with wireless connections. They added Spanish subs to Xenoblade in America. They are the same as Europe (Spain), but it was a request made by many who did not want to play it is English. A month later, they just did it. XCX has online modes? Or you just can't download any DLC during the downtime? @Grumblevolcano "My Nintendo, Nintendo Account, Miitomo"
That would be the most depressing ND ever. There would be mass suicides during it, and afterward anyone still left alive would storm Ntindo's HQ w/ pitchforks. I still think an ND soon for STZ, PT and TP HD, w/ maybe those other things you mentioned littered about. After SFZ in April, early May gets the NX hardware news, followed by games at E3. Some time in late March or early April they'll announce they aren't talking about Zelda U until E3 2017. How about an update on that tiny text and annoying music? I don't mind the music but I certainly think the font needs to be increased. My Xenoblade Chronicles X disconnected just about every night during Christmas break...and still does it even now, and it doesn't even reconnect. Hopefully they fix this. They also need to fix that text or make it adjustable...you can't even read it when playing from the Game Pad screen!